You can now pay for flights with American Express when booking through Alternative Airlines. Just use the search bar to choose from where you want to fly to and from and select American Express as your payment method at the checkout page. At Alternative Airlines, we want you to pay your way, using the currency and payment method that best suits you. You can also check out all the alternative ways to pay for flights. Offering American Express allows you to earn AMEX membership rewards when making flight bookings with Alternativeairlines.com. The best American Express cards currently available offer up to 5% cashback on purchases, as well as Nectar points and Airmiles. 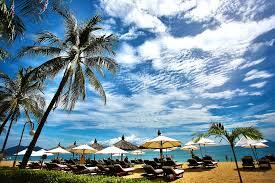 Book your flights with American Express. "At Alternative Airlines, we are always trying to make flight bookings easier for our customers. Adding a convenient, secure payment method like American Express was a natural fit." American Express currently has over 109 million cards running on its network these include consumer, small business and corporate cards issued by American Express themselves and cards issued by its Global Service Network partners that run on its network (such as Commonwealth Bank, Westpac and NAB in Australia and Lloyds Bank and Barclays Bank in the UK). American Express accounts for approximately 24% of the total dollar volume of credit card transactions in the US. The American Express Membership Rewards Programme allows Card Members to earn points on purchases and redeem them for rewards and experiences including travel, shopping, dining, and entertainment. Cashback schemes are typically limited to an introductory period, or require a minimum annual or monthly spend in order to qualify. Visa Checkout hopes to join industry giants such as PayPal and Google Pay by becoming one of the buttons you see on a retailer such as Alternative Airline's checkout page. Instead of competing in this market solo, however, the world's largest card networks, Visa and Mastercard, are going to combine their strengths and add both their new online payment methods, Visa Checkout and Masterpass , as one single button. It is thought that American Express and Discover will collaborate in this venture. The cards are hoping to compete with the services offered by PayPal. However, this project is still in the early stages. The button is still being developed. Mastercard and Visa won’t start moving consumers enrolled in Visa Checkout and Masterpass to the new program until later this year. American Express Canada is ecstatic to announce that it has been recognized by Mediacorp Canada Inc. as one of Canada's Best Diversity Employers for a third year in a row. This distinguished competition recognised Amex for its various diversity and inclusion programs, in particular those that support the advancement and growth of women in the workplace. "At American Express, we take pride in having a diverse workforce and inclusive culture – in fact, it's one of our company's greatest strengths," says Catherine Finley, Vice President of Human Resources, American Express Canada. "By fostering a workplace where differences are celebrated and embraced, our employees are enabled to reach their full potential and connect better with our customer base." American Express' Women at Amex initiative, which is aimed at supporting the development and advancement of women in corporate Canada, continues to play a key role in the company's focus on gender diversity. Notoriously, small business owners have not accepted Amex as a payment method as its too costly for them to do so. That may be about to change. An agreement has been reached with the Canadian Federation of Independent Businesses (CFIB) and Chase Merchant Services that will lower American Express fees for member businesses. 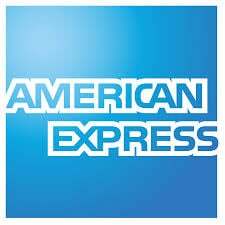 At the moment, Amex charges stores who accept their cards a fee of between 3 and 3.5 per cent on every customer transaction with the card. In comparison, Visa and Mastercard charge an average of 1.5 per cent for non-premium cards. press release. “This will benefit CFIB members by lowering the cost of offering Amex as a payment option, while ultimately providing value to consumers with greater access and payment choice.” Many of our members could see significant savings with the new offer, for some this could represent a rate reduction of almost 50 per cent,” said CFIB President and CEO Dan Kelly in a press release. “This will benefit CFIB members by lowering the cost of offering Amex as a payment option, while ultimately providing value to consumers with greater access and payment choice.” It’s a huge step in the right direction for small businesses who deal with these fees. Large companies are in a better position to negotiate with the credit card companies for better rates. Pay for flights in, Indian Rupee, USD or 70 other currencies of your choice with Alternative Airlines.